Monica Edwards Larson / Sister Black (Bike) Press’s project Poetry of Resistance & Change consists of two parts; a temporary installation of letterpress printed poetry cards, and a Poetry reading and DIY printing event, using the mobile bicycle press, at the Soap Factory. The installation will consist of hundreds of letterpress printed poetry cards and broadsides featuring the work of local poets whose work bears witness to the many challenges facing our democracy, the health of our planet, and all aspects of human rights, that inspire action. Listen to the podcast interview with the artist here. 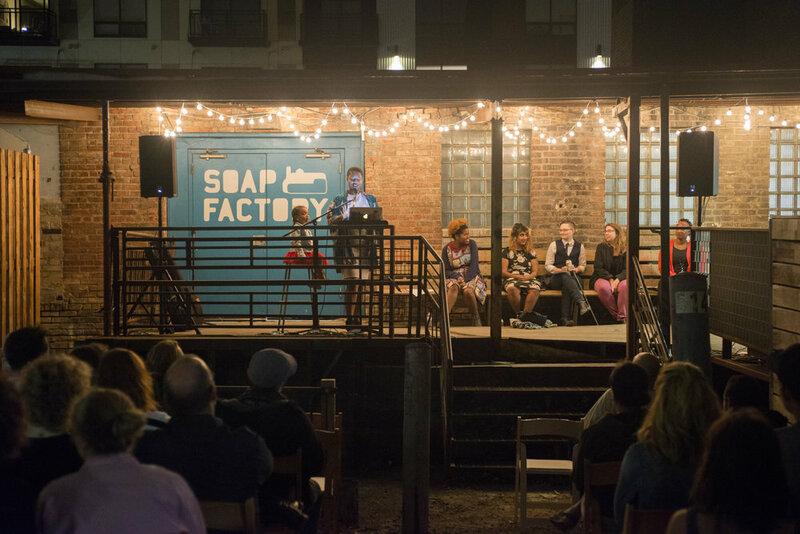 Join local poets for a readings and performances at the Soap Factory on September 16th, from 7:30pm-10pm. 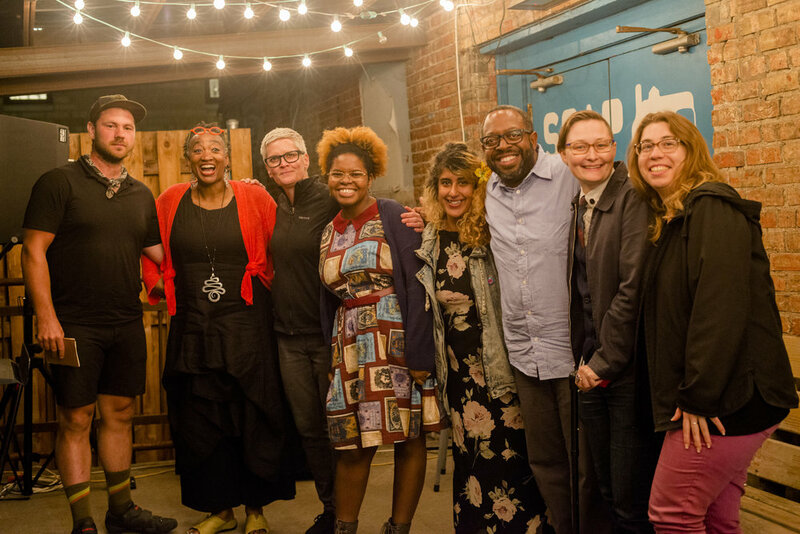 Poets include: D. Allen, Michael Kleber-Diggs, Marion Gomez, Junauda Petrus, Maitreyi Ray, Hawona Sullivan Janzen, and Ben Weaver. 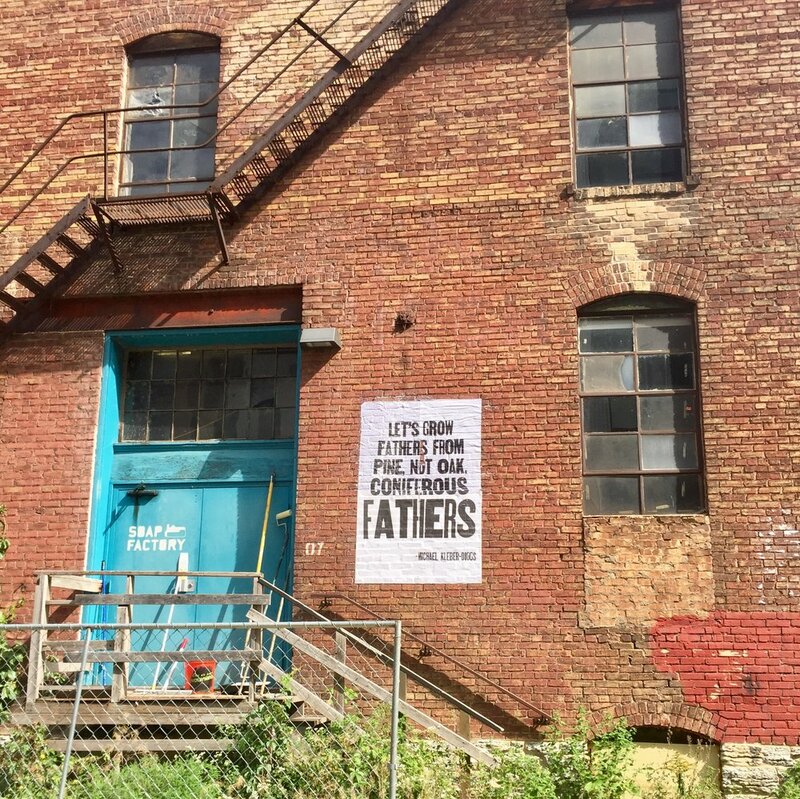 Monica Edwards Larson is the proprietress of Sister Black Press – a private Letterpress and Book Arts studio, established in 2000 in Minneapolis, MN. Shereceived a Masters in Fine Art in printmaking from Arizona State University. She has taught Printmaking, Graphic Design and Book Arts to students of all ages in the Twin Cities area, including the Minnesota Center for Book Arts, College of Visual Art, University of Northwestern and Minneapolis College of Art & Design. She is a 2017 recipient of the MN State Arts Board – Artist Initiative Grant, and recently started a new venture called Sister Black (Bike) Press – a mobile printing press that she pedals on the Twin Cities’ bike trails and streets, stopping to print at local bike shops, bookstores and libraries.